Real-time marketing has gone mainstream and more and more industries are welcoming these well-timed, on-trend tactics to leverage a cultural marketing moment. Real-time has even moved into real estate as Century 21 has cleverly shown through two real-time marketing campaigns. With a quick spin and a quick wit, the company turned timely news flashes into flashes of brand-building brilliance. 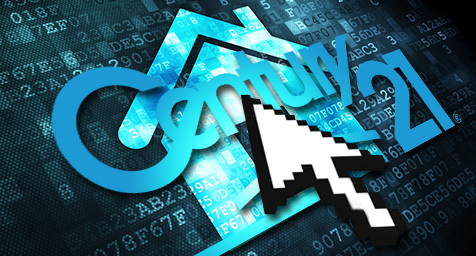 To see how Century 21 found the key to success in real-time marketing, MediaPost.com featured their timely techniques. The company’s first campaign was inspired by Twitter’s launch of its IPO. The social media network’s business venture and bird logo sparked the concept for a video where Century 21 offered a virtual tour of a mansion to urge the viewer to move up to a bigger birdhouse that reflected its recent success. While Twitter was never directly mentioned, the video was filled with bird-based innuendo and a call-to-action to make this its “Home Tweet Home.” Shorter versions of the video were run on Twitter and Vine. The company’s second spin of real-time spin was in a campaign that leveraged Amazon’s announcement about the testing of a drone delivery service. To deliver its message, Century 21 made a video that offered a similar service called the C21 Delivery Landing Pad. They sold it as the ideal addition to Amazon’s PrimeAir, which would let homeowners customize their delivery landing pads to increase their visibility for deliveries, as well as their home’s market value. These spoofs served as proof that real-time marketing could help a business gain from the glory of others. And Century 21 opened the door for other real estate marketing agencies to make a real impact though real-time marketing. Make the move into real-time marketing. Contact MDG Advertising today at 561-338-7797 or visit mdgadvertising.com. MDG Advertising is a full-service advertising agency and one of Florida’s top branding firms. With offices in Boca Raton and New York City, MDG’s core capabilities include branding, logo design, print advertising, digital marketing, mobile advertising, email marketing, real-time marketing, media planning and buying, TV and radio, outdoor advertising, newspaper, video marketing, Web design and development, content marketing, social media marketing, and SEO. To discover the latest trends in advertising and branding, contact MDG Advertising today at 561-338-7797.